CLEAN TITLE, NO ACCIDENTS! Asking $7,999 or best offer – this Jeep is CLEAN! Open to all offers. Great condition inside and out, just had the entire car detailed with shampooed floors, seats and all instruments and dash cleaned. At 115,477, Odometer is 20,000 miles below market average! I have the tow package bought brand new in the fall just never been installed, it is included in the price. Tires are COOPER Discoverer AT3 with 50-60% tread-life left. Tint professionally installed on all 7 windows last year, easily removed if desired. See options included below and call Brett at 801-631-9540 for more information or for a test drive. Car is located in Bountiful, UT. By appointment only. 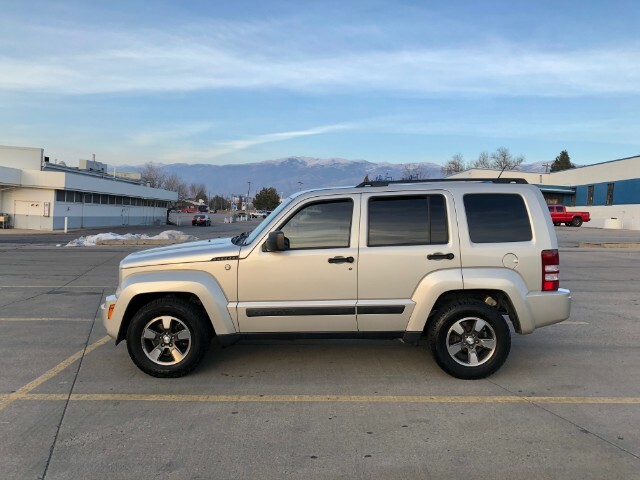 Visit Big Wheel online at www.bigwheeliron.motorlot.com to see more pictures of this vehicle or call us at 801-872-3060 today to schedule your test drive.